My Mommy just told me that tomorrow I will officially be three months cute. I noticed that she was being sneaky this afternoon and I think she is going to give me a present. She also told me that we are driving to Atlanta to pick up my Grannie and Grandpa CJ tonight. I guess the are coming all the way from California to celebrate my big day. 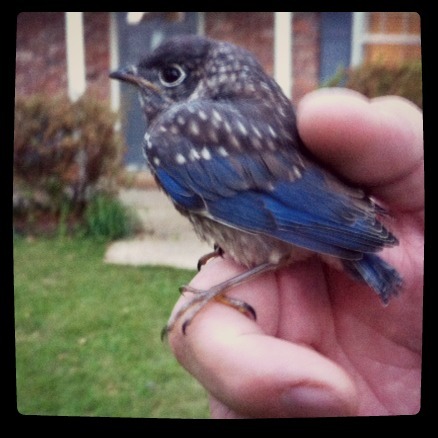 I also met this little baby bluebird when we went on our walk tonight. He was hanging out in my front yard. 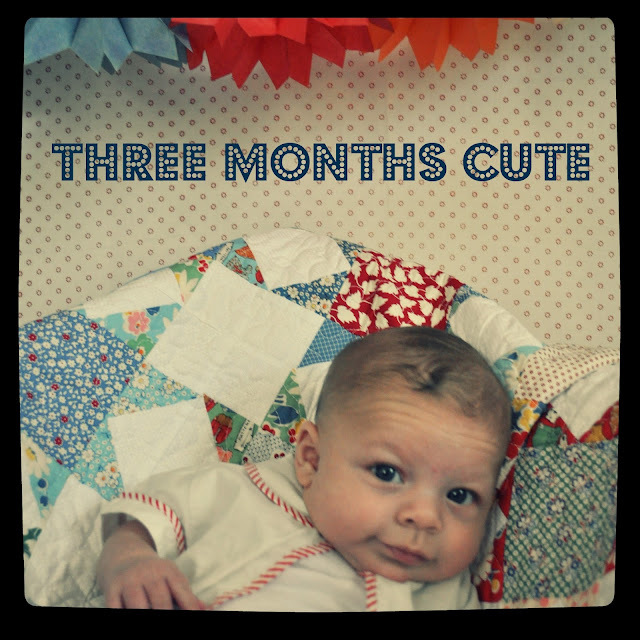 My Mommy told me that he stopped by to wish me a happy three month cute day. I am such a lucky boy. I just love this kid. Happy special day! happy 3 months little roscoe! you look so CUTE in the first picture! he's so cute, I hope you all have a great day and what a gorgeous bird, wow. Happy three months, Roscoe! I love you!